Thanks to this month's awesome hosts: Erika Beebe, Sandra Hoover, Susan Gourley, and Lee Lowery! The first few months of this year were not good for me. This group and others plus friends and family helped a lot. July was a great month. A new book released, two more stories are coming along nicely, and I lost twenty pounds. When my doctor said I'd finally hit the magic A1C number that indicated diabetes, he told me losing weight would help my chronic back pain as well as the diabetes. I joined Weight Watchers because it's helped before. I'm pleased that my weight loss is slow and steady. My plan when I see my doctor later this month is to have lost twenty-five pounds. It took me a long time to gain the weight so I know it will take a long time to shed it. The main thing is healthy eating, and I've been working on that. In January, I started a new story--the fourth in the Alex O'Hara mystery series. I stopped to finished a different book, and now I'm sort of back to it. I say "sort of" because I'm also working on a science fiction romance, THE SPY, featuring two characters who appeared in other stories. I haven't released a sci-fi romance for two years. I need to get this one out this year. When I run into a glitch, instead of not writing at all, I shift over to Alex O'Hara #4 (I don't have a title yet). It's been a back and forth so both stories are progressing well. 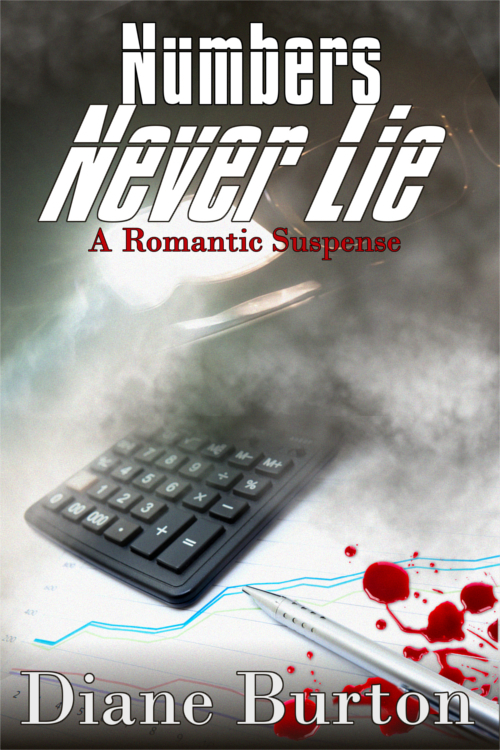 The best news from July is the release of NUMBERS NEVER LIE, a romantic suspense. Then I a subsequent blog tour. Thanks so much to the many people who invited me to guest, especially people from this group. This Saturday, I'll be at Ellen Jacobsen's blog, The Cynical Sailor & His Salty Sidekick. NUMBERS NEVER DIE began over 15 years ago, was set aside then picked up again this winter. I am so proud of this story. Life is going to throw you curves. Demands from family and job will create a lot of stress. So much so that your creative muse will take a hike. 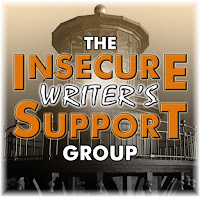 You feel guilty that you can't write, or write as much as you used to. Take deep breaths and let it go. Roll with the those curves. Do what you need to do. The story will always be there--even 15 years later LOL Does it sound like I've been there? Yep, and wished I'd handled it better. So glad you had such a great month after a difficult start to the year. Yay! I'm so impressed by the 20 pound weight loss. That's fantastic! I hope you meet your goals and feel much better along the way. It's inspiring to me that your Numbers story was around for 15 years before it became a book. That gives me hope for some of my stories that I can't seem to get to the finish line on. Thanks for sharing your experience! Thanks, Julie, for your support. I know what a pain it is to rewrite/finish an old story. That's why I let it lay dormant. Now I can say it was worth the extra work. Glad that you had a great month. Losing twenty pounds is super. I'm sure it will benefit your health in many ways. I love the title of your book Numbers Never Lie. Congratulations on your new book and weight loss! And yes, life does throw curves. I've never felt guilty for not writing, but I do sometimes get concerned about finding the motivation to get back into the saddle. Thanks, Bish. It is hard to get back to writing. I found one thing that works--open the file and read what I've written. I can't help tweaking, adding, etc. Never easy, though. Congratulations on all of your July successes!!! May August have even more great things in store! Thanks so much, Joey. Wishing you the same. Thanks, Ellen. See you Saturday. When life throws curves, swing for the fence! You've accomplished a lot, Diane! Congrats on turning a bad year into a positive. It sounds like you're on the right track again in both your writing and real life. Wishing you all the best! Thanks so much, Sandra. I feel good about this year. Thanks for co-hosting this month. Congratulations on your new book! Looks like an exciting story. Congrats, too, on the weight loss. I need to do the same or I will be where you were. Glad you had such a great month. I hope your successes continue! Thanks, Lori. I've known for a long time I needed to get rid of the weight. This seemed to be the right time. Same with my book. Glad this has been a good month. Congrats on your book release. And that's awesome that you lost the weight to improve your health. Not everyone could do that. Thanks, Natalie. It was time to get healthy. And time to finish that book. Congrats on the weight loss. It's so difficult. Congrats on all your other good news. That's cool to have a 15 year old story come back to life. Hi Diane! You have been busy. Congratulations also on your weight loss. So the second half of the year will be better than the first. And I saw your comment about being intrigued by the WEP/IWSG idea. You are most welcome to post an extract from a WIP perhaps altering it to fit the prompt. Then you can get instant feedback...if this works for you, we'd love to have you. Thanks for the invitation, Denise. I'm going to check out WEP. Thanks, too, for the good wishes for the rest of the year. Same to you. Congrats on the health improvement goals. I've been working on those, as well, with the requisite ups and downs (sort of like my writing!). But the results have been worth the effort. Here's to a great rest of the year! Thanks, Lee. I hope the rest of the year is good for you, too. Good for you on that weight loss! Those are excellent results! I've been working on exercising, focusing on cardio and muscle health etc instead of pounds lost. So far, so good! Thanks, Madeline. I need to do exercises, too. So far, I've been concentrating on eating better. Thanks, Samantha. Same to you. I'm glad July was a good month for you. Twenty pounds is great. Maintaining a healthy weight is so important. Sixteen years ago I lost 40 pounds and it took months. Glad to hear you've had a better month. Well done with the weight loss and new book. I hope things continue to go well. Best wishes. Yep, sometimes family has to come first. Congrats on the book release and the weight loss. That's fantastic! Congrats on the new release. So happy to hear of your good month too. Happy belated IWSG day.